VietNamNet Bridge – The expansion of alleys has improved convenience for residents and enhanced the image of HCM City, according to authorities. Residents across many districts in HCM City have voluntarily contributed parts of their valuable land to help widen local alleys. When Mai To Quynh heard about the road expansion campaign at 127 Cô Giang Street in Phu Nhuan District, she persuaded her family to donate part of their land so the road could be widened from 2.5-3 metres to five metres. Quynh’s house used to be 6m-wide and 20m-long along Alley 127, but she agreed to rebuild her house after she donated land. The total area of donated land was 40m2, worth VND1.6 billion. The new five-metre-wide alley allows access for taxis and trucks. Similarly, Duy Tan Street in Phu Nhuan District’s Ward 15 used to be three metres wide. Nearly 598sq.m have been donated by 126 households to help widen the street to eight metres. Phu Nhuan District pioneered the alley expansion movement in 1999. In the past 10 years, the district expanded 74 alleys with 14,465sq.m of land donated by 3,103 households. Truong Van Trung, standing vice chairman of District 9’s Fatherland Front Committee, said that District 9 had expanded 21 alleys and roads in 2018, with more than 200 households donating 6,100sq.m of land. Nguyen Tran Hoang Phuc, vice chairman of the People’s Committee of District 3’s Ward 11, said land prices tripled after the alley was widened. Alley 205 is now wider than some main roads, so authorities have proposed changing the alley into a road, he added. After Alley 217 on Co Giang Street was expanded into a road, Quynh built three kiosks for rent. She used her rental fees to pay her house construction loan and monthly expenses. Nguyen Thi Ngoc, a resident on Duy Tan Street, said her food business had improved after the alley was expanded. “More people come to my eatery now that the alley has become a wide, spacious street. More nearby houses have also been rented for offices, increasing the number of customers,” she added. At a recent meeting with HCM City Party Committee Secretary Nguyen Thien Nhan, the secretary of Phu Nhuan District Party Committee, Trinh Xuan Thieu, said the district has 9,000 businesses, 200 of which are large. In addition to reform of administrative procedures, better infrastructure has helped attract more firms to Phu Nhuan District. 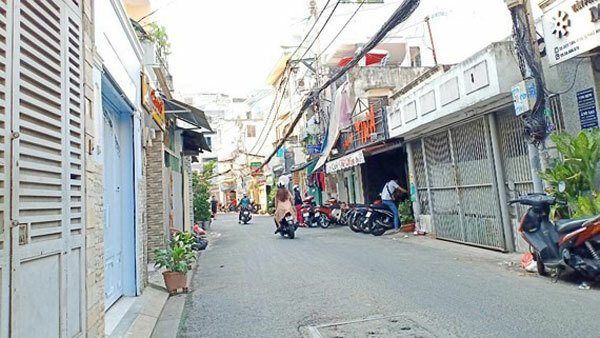 “Authorities and locals in Phu Nhuan District have made significant efforts to widen small alleys and expand them into roads,” Thieu said. Meanwhile, Le Tuan Huon, deputy head of the Urban Management Division of District 3, said that alley expansion had improved many locals’ lives. Between 2014 and 2018, District 3 expanded 22 alleys with the help of 832 households that donated 3,669sq.m of land. “About 57 firms and 30 business households have been opened along 22 expanded alleys,” he said. In 2019, District 3 will continue to expand an additional 16 alleys.